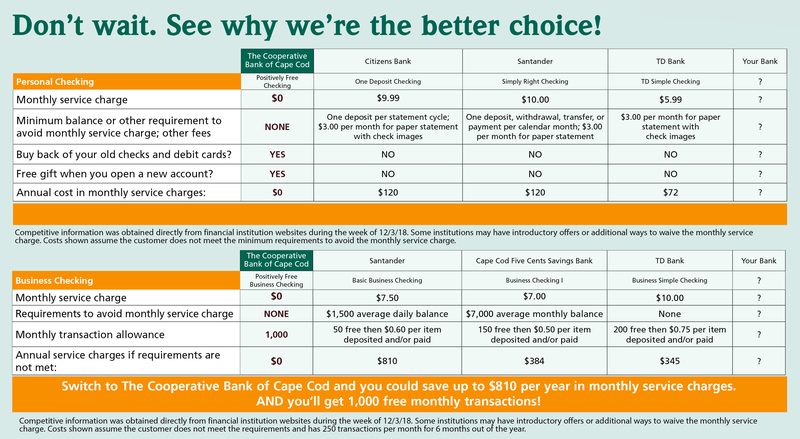 Home » News » Promotions and Offers » FREE gift when you open any checking account! Open any personal or business checking account and get this FREE Gift! 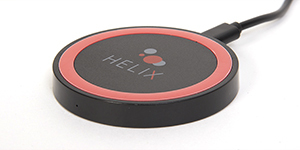 Quickly recharge your favorite electronic devices with the Helix® Wireless Charger. It’s perfect for home, the office and road trips. Tell-A-Friend about Positively Free Checking and you’ll both receive our FREE gift! Positively Free Checking for you and your business! Disclosures: Minimum opening deposit is only $25. Ask us for details. Bank rules and regulations apply. Other fees such as non-sufficient funds, overdraft, etc. may apply. See fee schedule for details. *3rd party charges and fees may apply. Transaction items include all debits and credits. If the Positively Free Business Checking account exceeds 1,000 monthly transactions, the account may be converted to another checking product. If the Positively Free Business Checking account exceeds $10,000 in monthly coin and currency, the account may be converted to another checking product. Free gift may be reported on a 1099-INT or 1099-MISC. Free gift provided at the time of account opening. We reserve the right to substitute a gift of similar value. Up to $10 for checks and debit cards from another financial institution given at the time the checks/debit cards are presented.